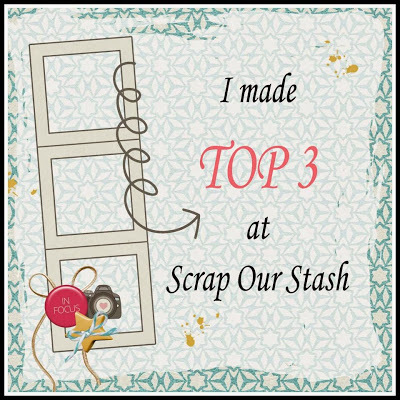 Let's start with March Top 3 Picks! with March Winner in the subject line and we will get your prize sent out to you!!!! "Hey everyone. 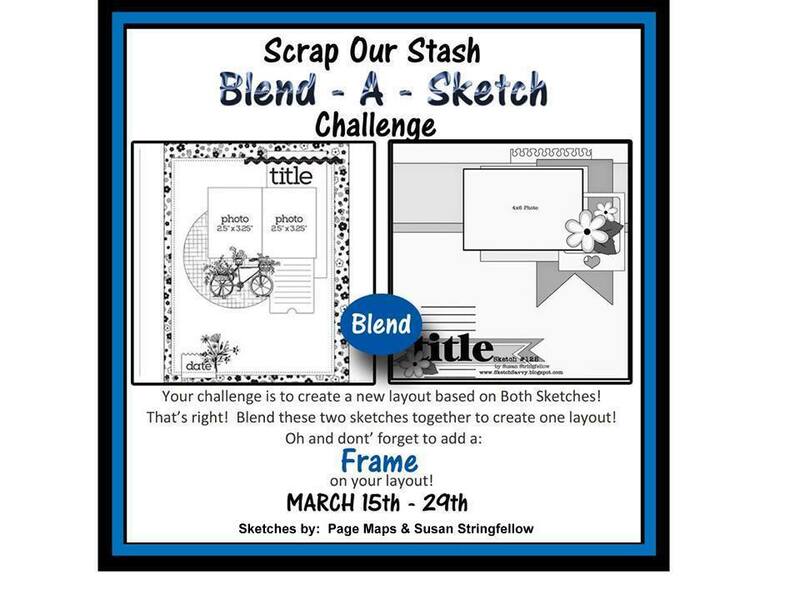 Here’s my take on this month’s blend a sketch challenge. I used the two small photos, circle element and large uncentered frame from the left sketch and added it to the right sketch. 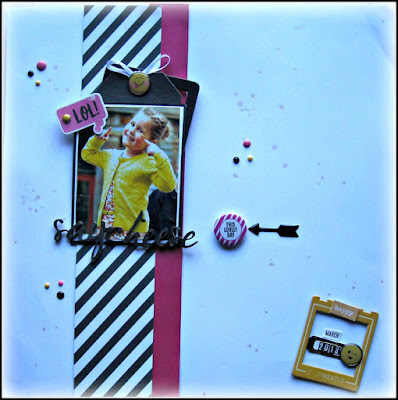 For the second part of the challenge I layered 3 polaroid frames on the right side of the layout. 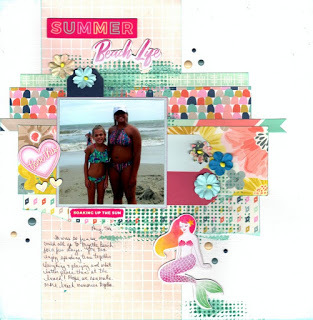 I used Paige Evans ‘Turn the Page’ collection for this layout. 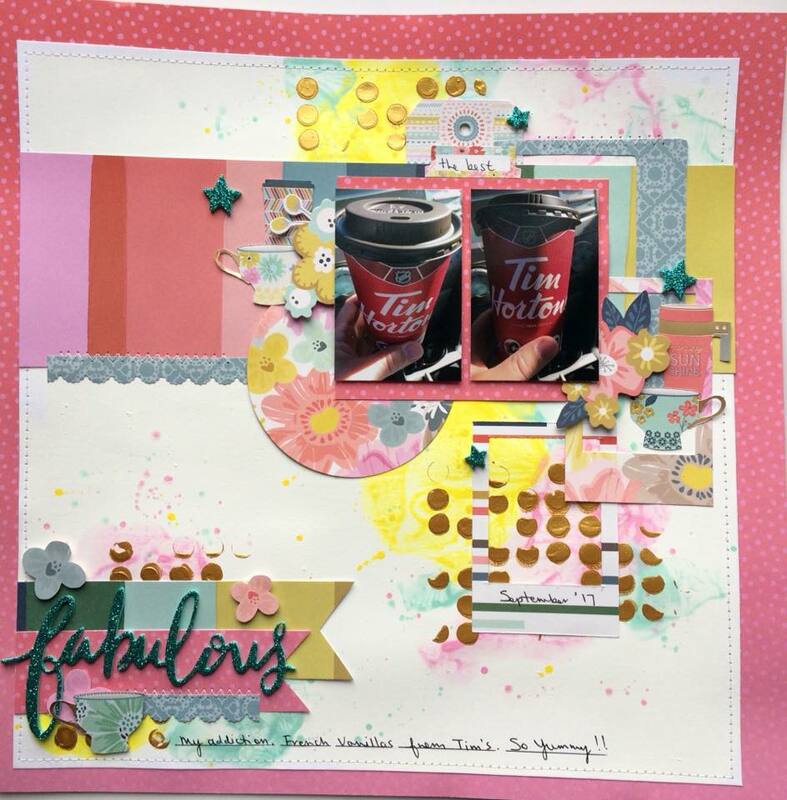 This line contained paper with cups and mugs that I just had to fussy cut, for this page of my addiction to a Tim’s drink. Thanks for stopping by and I can’t wait to see how you blend the Sketches!!" 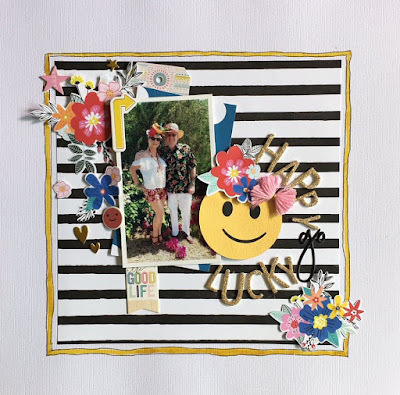 I created this layout based on the sketches! I used the foundation from the sketch on lelft and use the pennant piece from the sketch on the right to create this layout. I also used embellishment and title placement from the sketch on the right. 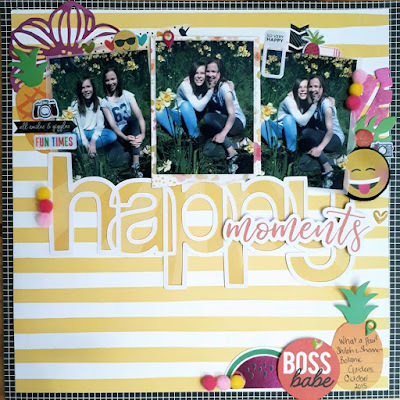 Also, to complete the challenge, I added the snapshot kraft poloriod frame to the small photo. 2 more days left to get your layout uploaded!!! 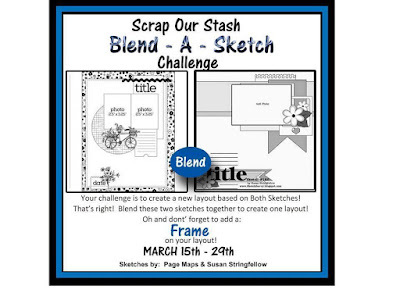 I hope I can inspire you to join us for the Blend A Sketch Challenge. Love these challenges and hope you do too. Remember to include a frame this time. I thought my bouquet of tulips were worthy a golden frame. Love tulips! Come on and join us, can´t wait to see your work! 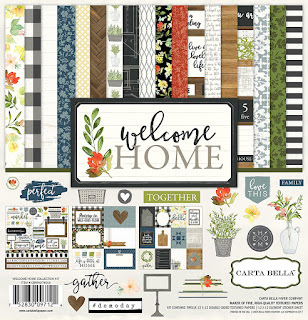 "I picked the circle from sketch #1, back stripe, banner, frame and layering from sketch #2. Add a few embellishments and I'm happy with the final result. 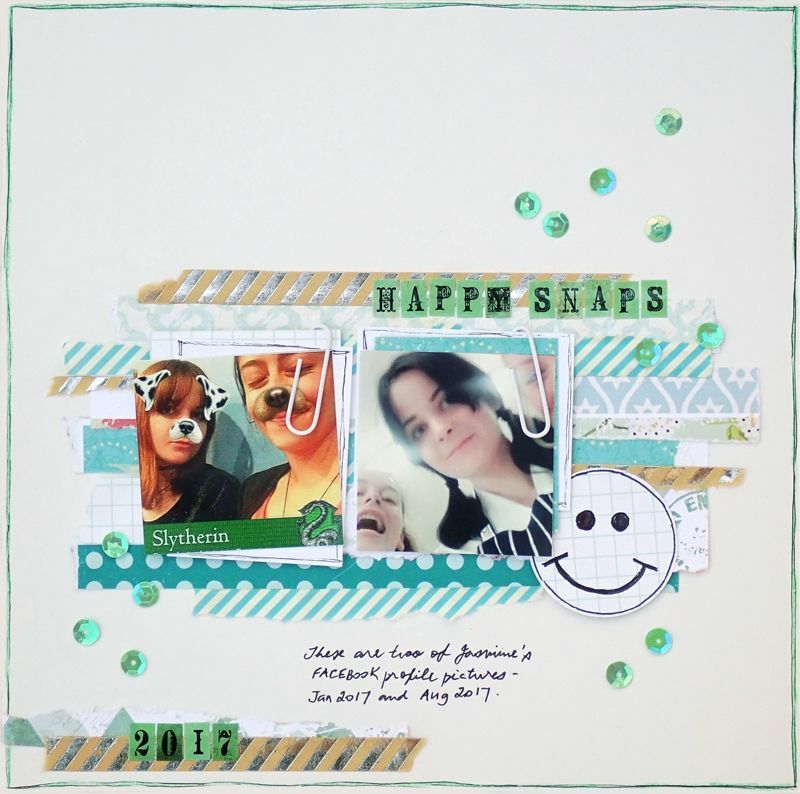 Hope you'll find some inspiration, join us and link up you layout!" I used my die cut as the round element, and the title placement from the first sketch; the embellie cluster and banner(s) from the second sketch. 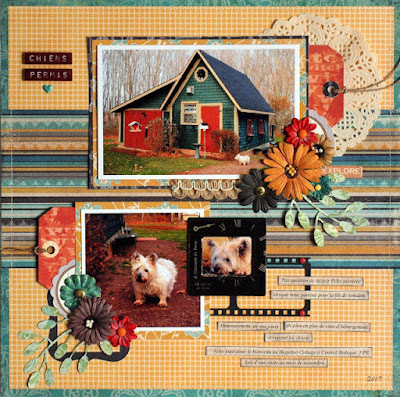 Visit my blog for a couple of closeups also - www.artscrapz.blogspot.com or follow me on Instagram @chimelle22. Make sure to add your layout to be in to win!" "Hi there scrappers. Rachelle here with you to share my challenge inspiration. 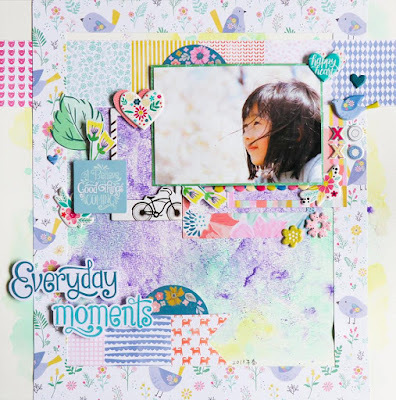 I loved blending the sketches to create this mixed media layout. The paper tearing is fun then I applied stencil work, inking, and spritz. 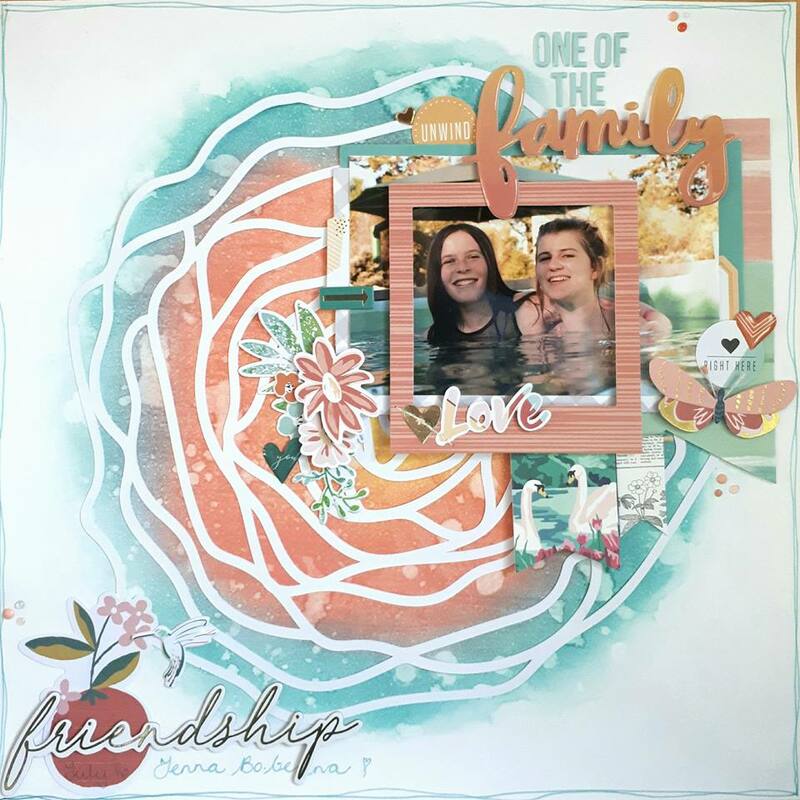 I added layers and the frame gave the layout great dimension. Lastly I applied...floral clusters, doily, chipboard, and flair embellishments. 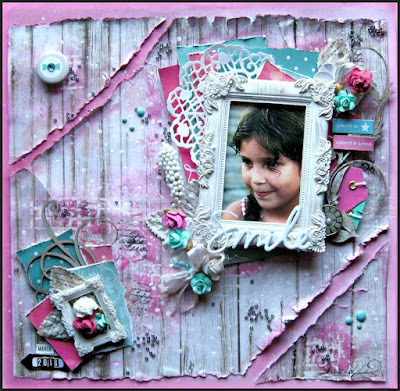 To see more stop by my blog http://scrapping247365.blogspot.com/: I hope you have been inspired to create and join the challenge. Thanks for stopping by and happy scrapping!" See you back here tomorrow with more Blend A Sketch inspiration! 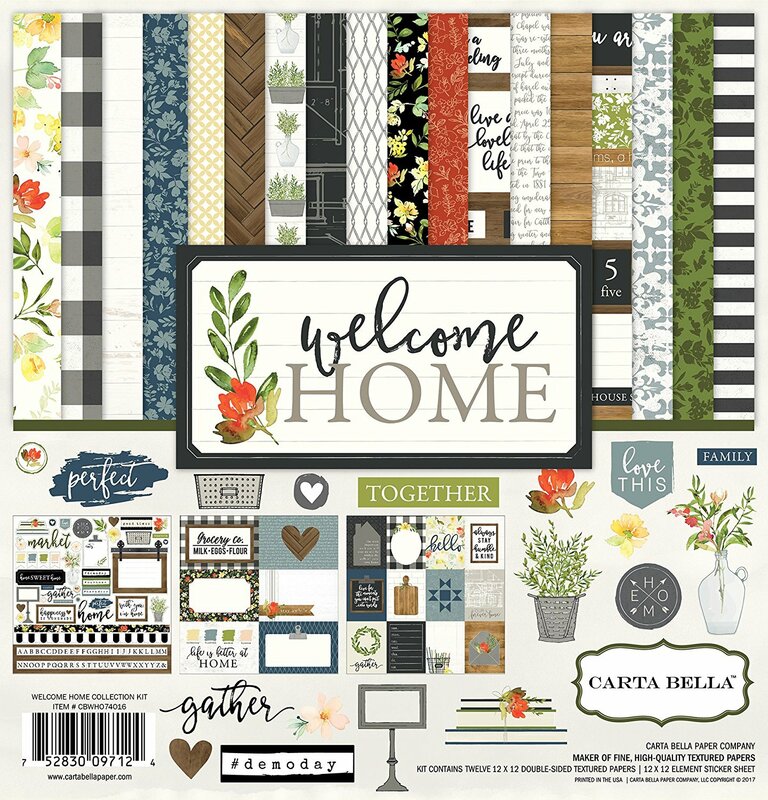 "I used the center part of the left sketch's design, and the banner, single photo, embellishment placement from the right sketch. I also used a frame sticker and a chipboard frame. This is a photo of my brother Jack and I. We stopped in at our parent's home on the way to work one day, and they had packed us each a lunch of homemade soup, and even wrote our names on our lunch bags!! Love them!! I had so much fun blending these 2 sketches - I hope you will too!! 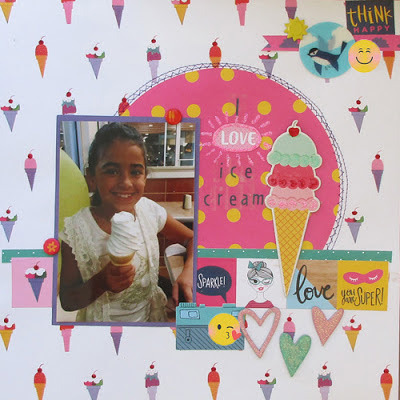 "I used the sketch on the left for my main frame around my layout. 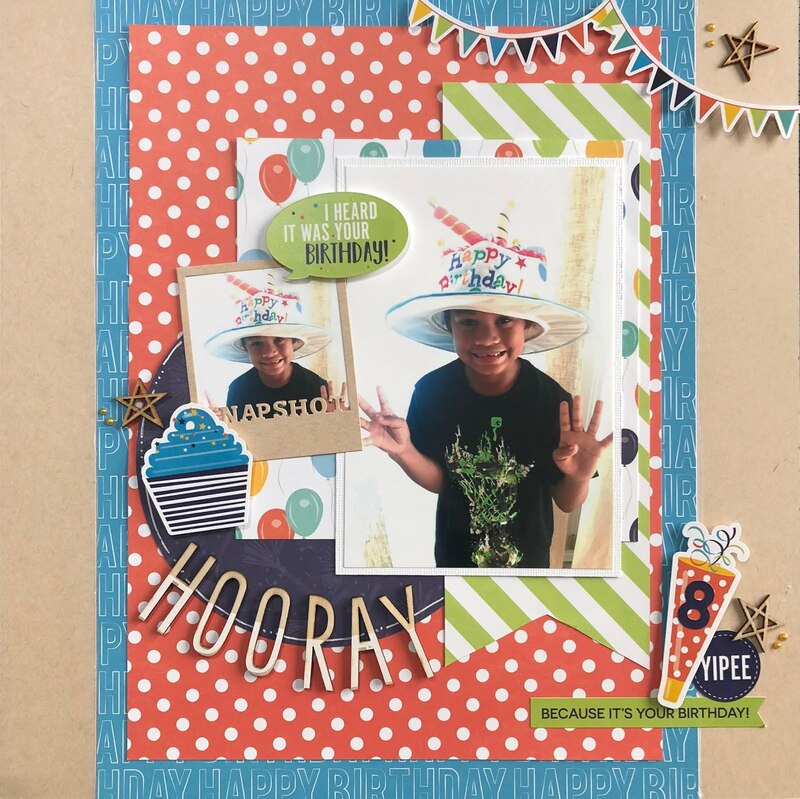 Then used the banner idea for the inner portion. I love this photo of my kiddos playing around together. 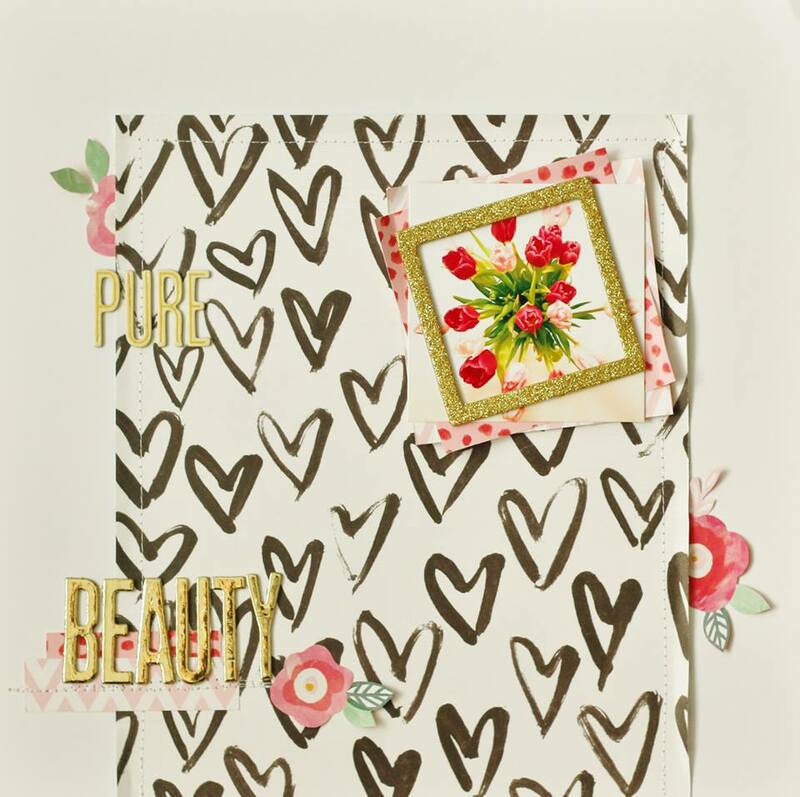 I added a smaller frame on the bottom left to help pop one of the heart embellishments I used. 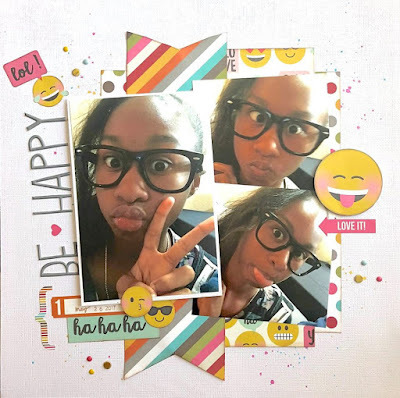 I'm excited to see what you do with this challenge!" I" really love the Emoji collection from Simple Stories but haven't really had the right photos to use, until now. I love how this layout come out. 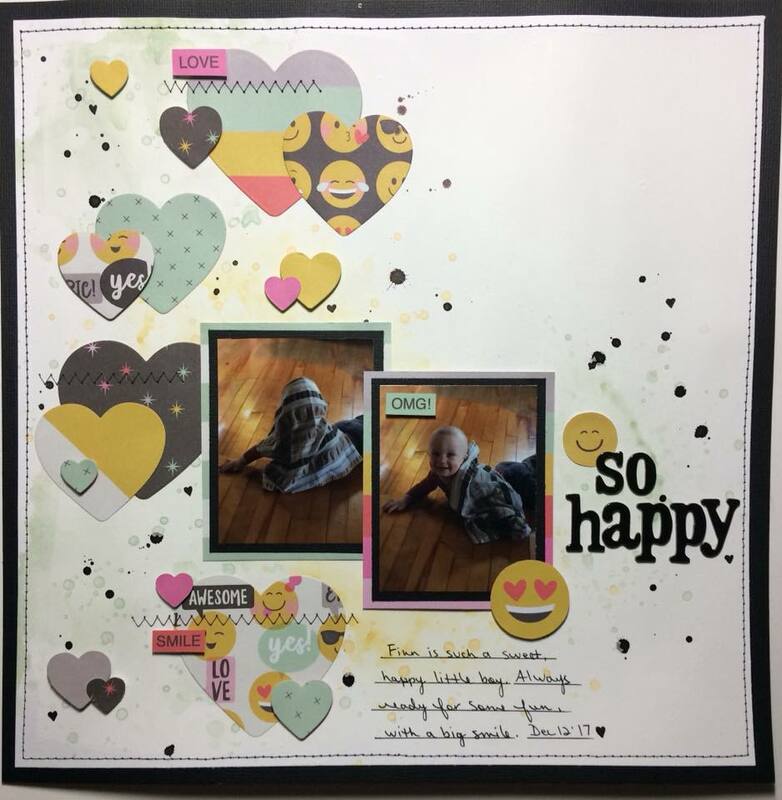 For the Challenge, I went with a "Happy" theme layout with emojis." "Hey everyone. 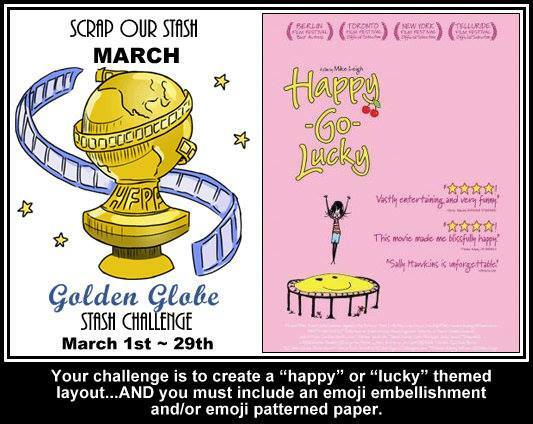 I’m back with this month’s Golden Globe Stash Challenge. 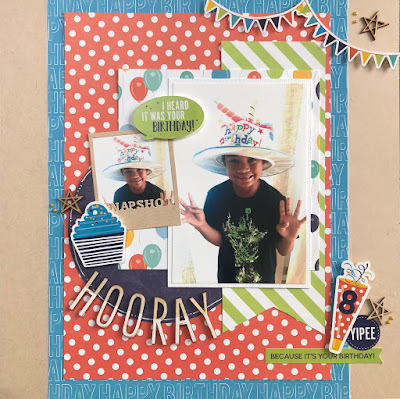 I decided to create a happy themed layout of my grandson, who is always smiling and up for some fun. 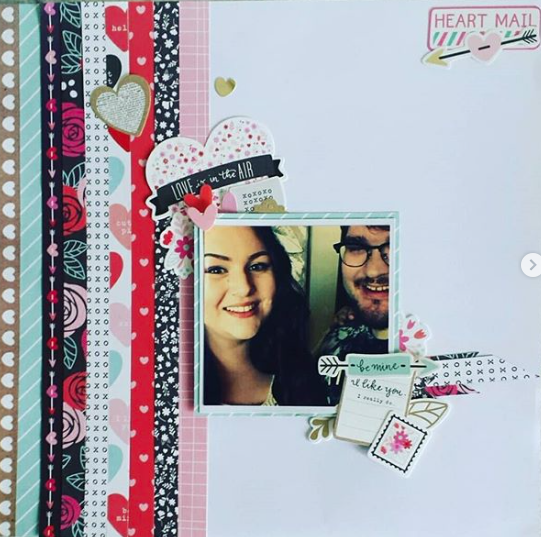 I had Simple Stories ‘Emoji Love’ Snap Pack in my Stash, which was perfect for the second part of the challenge. 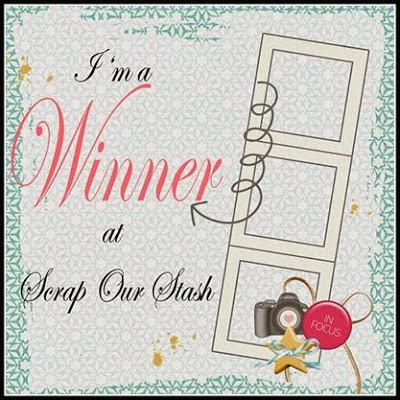 Thanks for stopping by and happy scrapping!!!" 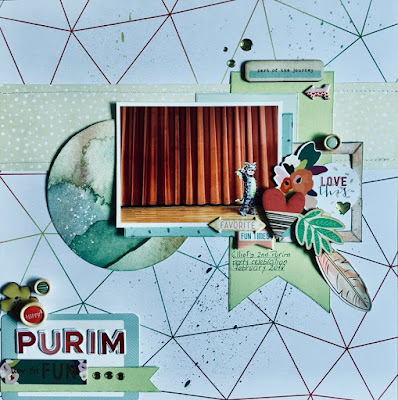 to upload your entries for a chance to win this month's prize. 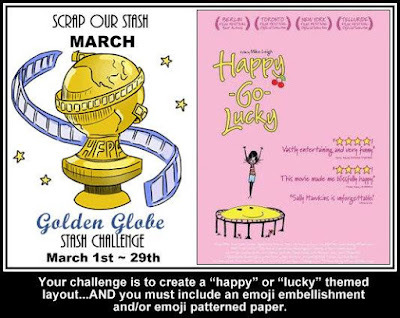 "Hope you like the current Golden Globe challenge. I do! I used some mist, a cut file, layers and emoji stickers - done! This is an old photo of my twins on vacation and they have got some festis (don´t know the english word for it) to drink. That was a happy moment for the girls who only have had water and milk to drink earlier. Poor little girls (LOL). Join us for this fun challenge. Can´t wait to see your work!" 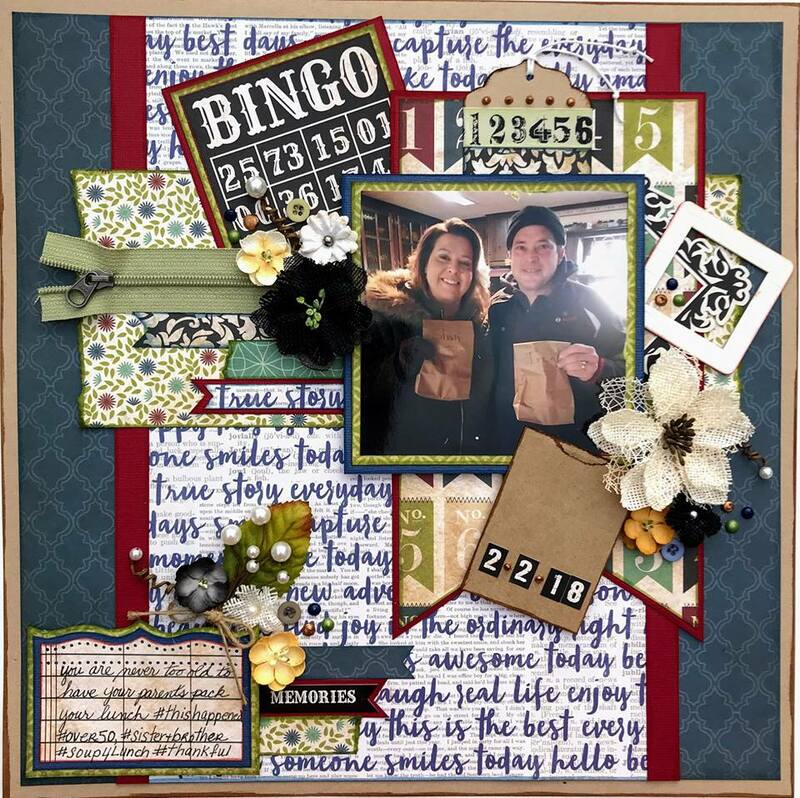 Click HERE for complete challenge rules and details! everyone comes up with inspired by this month's challenge! I really am "LUCKY" to have these wonderful women in my life, so I used that as my title. They are more like sisters to me, instead of sister-in-laws!! I also drew inspiration from the pink in the poster of the prompt. I used LOTS of "stuff" from my "Stash" of Simple Stories’ "I AM" collection for this layout! 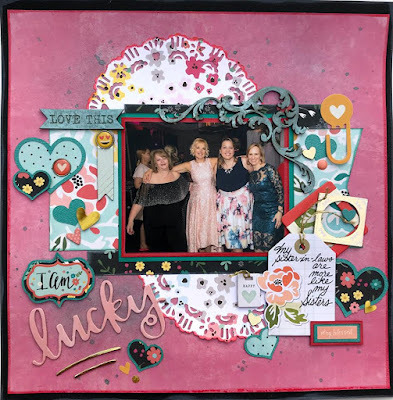 I hope you can join us over at the Scrap Our Stash Blog - and can't wait to see what you come up with for this fun challenge!! 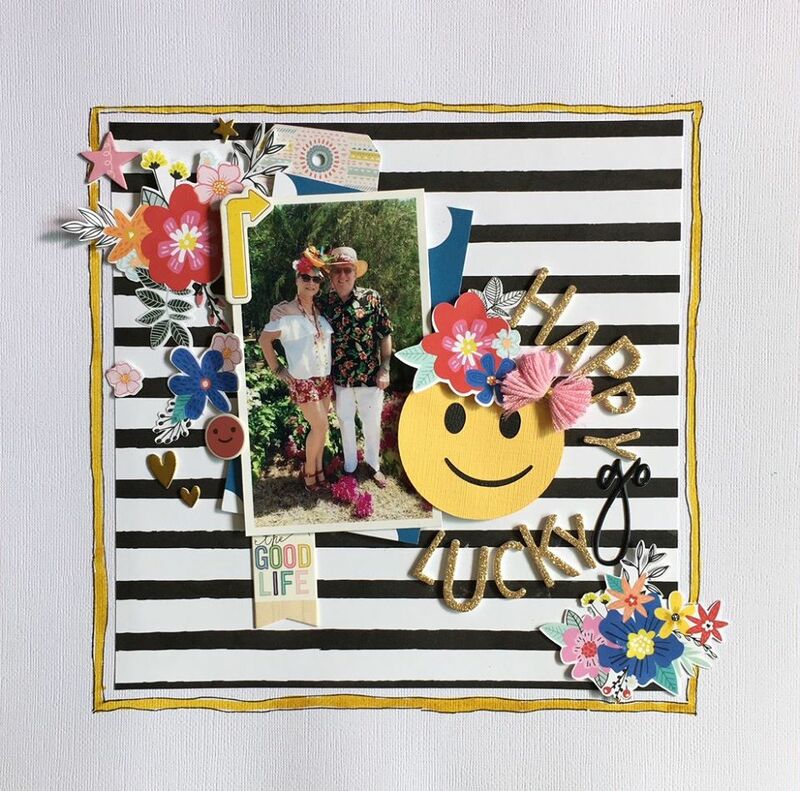 "I didn't have any emoji on my stash, so I did cut it with my Silhouette Cameo and dress my happy face emoji with the same "Carmen Miranda" style hat that I'm wearing in the photo. Just added some glitter alphas, lots of flowers and doodled around the black and white striped patterned paper. Hope you all will find some inspiration here and upload a happy layout!" "Hi SOS friends! 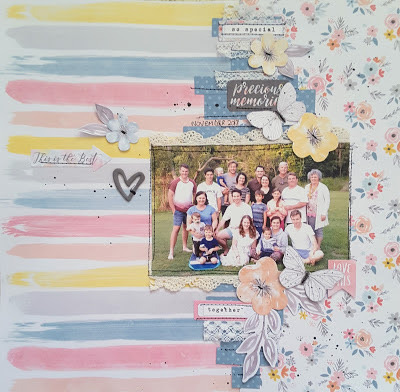 Rachelle here sharing my challenge layout inspiration. I created a fun negative space style. It is always good to work out of the normal box. Love working with my fave combo colors and using the emoji flairs.The main focal point was fun and happy. For more views check out my blog...http://scrapping247365.blogspot.com/. Thanks so much for stopping by SOS. to upload you take on this challenge. Let's start with February Top 3 Picks! 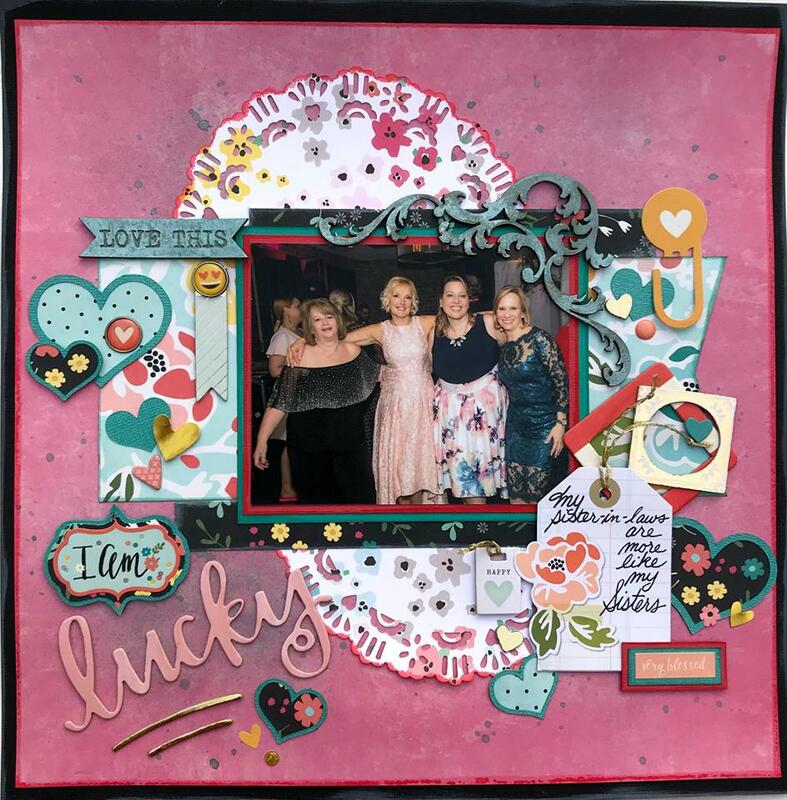 with February Winner in the subject line and we will get your prize sent out to you!!! !